l’s dream of “engagement” with the People’s Republic of China and its “peaceful evolution” toward democracy and freedom. Wishful thinking has blinded us to the danger we face and left the world vulnerable to China’s overweening ambitions. My book is a wake up call. The author is director of the Population Research Institute knows China as few Westerners do. He writes: As a visiting graduate student having exposed the monstrous practice of forced abortions, he became the target of the regime’s crushing retaliation. America has about a decade to respond to the challenges posed by the Bully of Asia. After that it will be too late. PRI is a leading pro-life charity and activity. 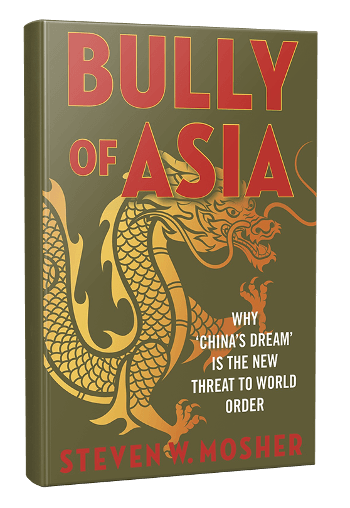 Go to https://www.pop.org/donate/bully-of-asia/ and for a $25 donation, you will get the book in first-class mail for Christmas.